At Oktana, we’re heavily invested in the world of mobile app development. We believe that building new mobile tools that let our customers interact with their Salesforce instance out in the field is essential to the future of the platform. 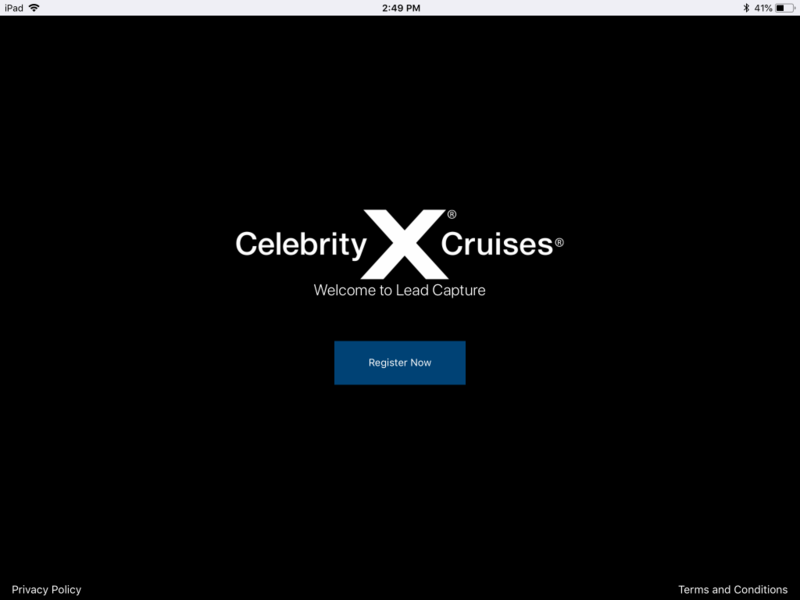 One of our most recent projects that allowed us to utilize our Mobile development skills is our project with Royal Caribbean for their Celebrity Cruises premium brand. Celebrity Cruises participates in a number of large conferences and expos every year where their sales team is out in the field talking to potential clients and customers. They needed a way to easily gather data from the people they met for giveaways and potential sales leads. Additionally, this needed to be a tool that would allow them to gather the data while offline and then sync with Salesforce when they reconnected later because while moving around at conferences they can’t count on network connectivity. Oktana was brought in to build an iPad app that would accomplish these goals. The app was built and designed internally by us. We designed an app that was slick and would be impressive looking so that when potential customers saw it on the floor it would look like something you would expect from a premium brand like Celebrity Cruises. We needed to make sure it met all of the client’s needs from beginning to end which included both the technical aspects and the app’s appearance. What tools did we use to accomplish this task? We built the app using Salesforce DX along with Forcereact and the Salesforce Mobile SDK. 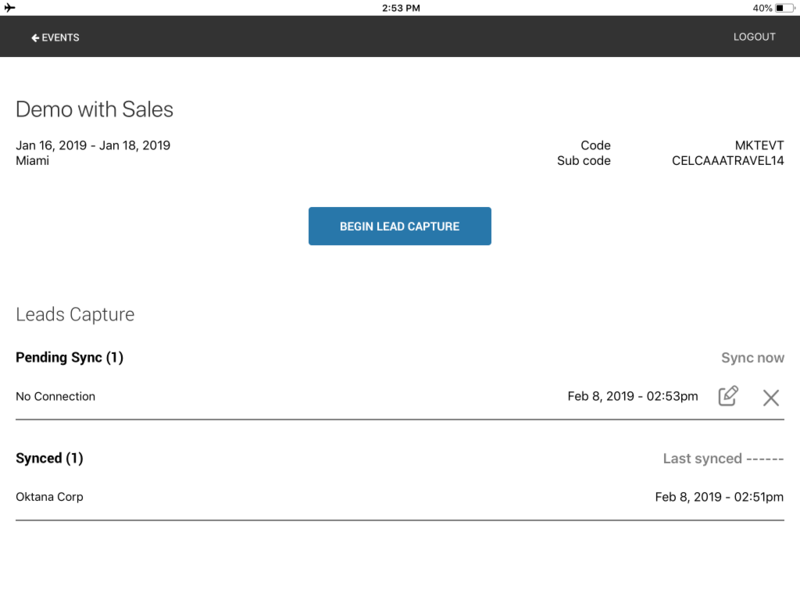 The app also talks directly to the Salesforce Sales and Marketing Clouds. 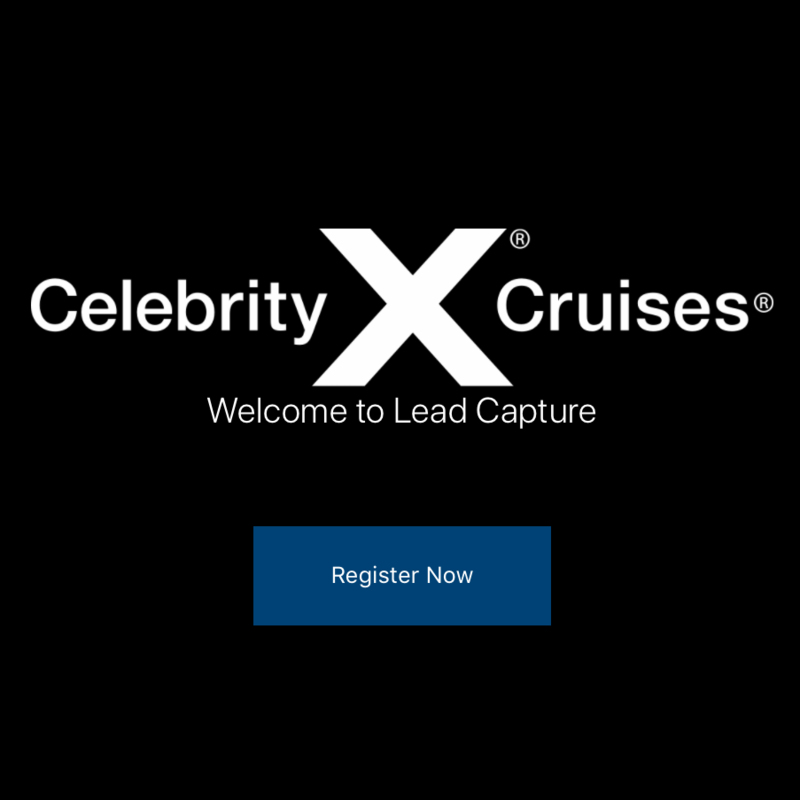 When a member of the sales team at Celebrity Cruises is preparing to go out to the floor of a show or conference they simply need to launch the app and select the Salesforce campaign the leads will be entered into. Then when they disconnect from the network the app will store all their leads locally and when they reconnect to the network at the end of the day it will sync them with the proper campaign. 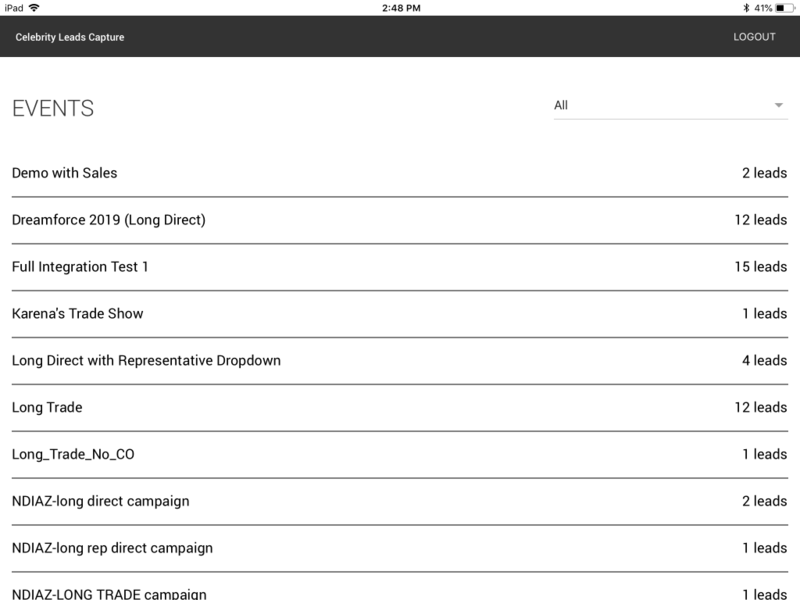 Additionally, when leads are entered the team member has the option to edit them for errors or even delete them before they sync to keep their campaign list clean. While we have been working on this project for Celebrity Cruises we have also been helping Royal Caribbean with ensuring their tools meet GDPR requirements in the EU. We created tools to ensure collected data could be anonymized upon request. Royal Caribbean has been a great partner for us at Oktana and we believe this app was a great showcase of our skills in both Salesforce and Mobile development. If you’re ever in need of skills like ours be sure to reach out. We’d love to talk!